If you’ve ever struggled to make it to class on time, spare a thought for Ben Wellfare, a student in the Graduate Certificate in Public Sector Innovation. As well as being a postgraduate student at UTS, Wellfare is also a navigating officer in the Royal Australian Navy (RAN) – a job that requires him to spend extended periods of the year at sea. 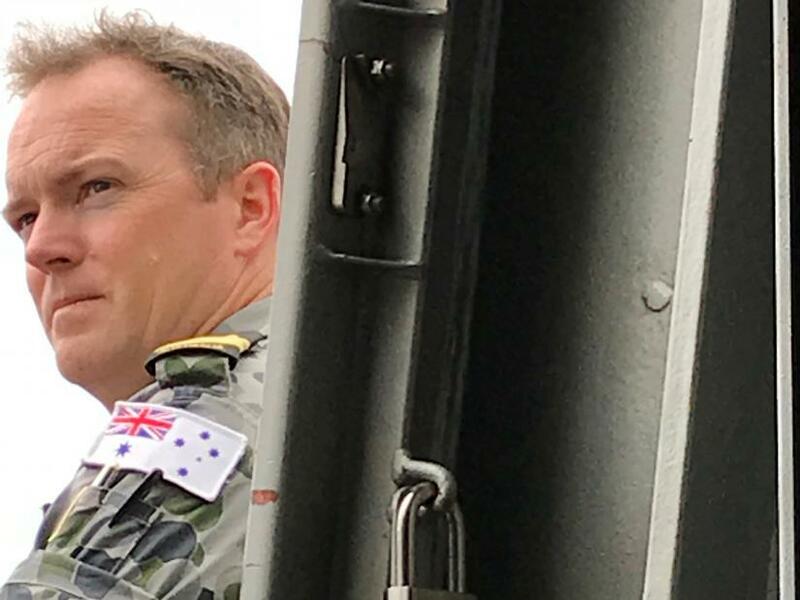 Royal Australian Navy navigating officer, Ben Wellfare. Photo by Douglas Tomkin. While the majority of the graduate certificate is conducted online, Wellfare’s conflicting work and study requirements have made it difficult for him to attend even the limited face-to-face components of the course. A lack of phone and internet connectivity out at sea have made accessing online course materials and group sessions an additional challenge. But, rather than giving into the complexity of his situation, Wellfare instead devised an unlikely solution: if he couldn’t get to UTS, maybe UTS could come to him. “I was discussing the course progress with my commanding officer, and he just said, ‘Why don’t we find an opportunity for one of your lecturers to come and spend some time at sea?’” he says. 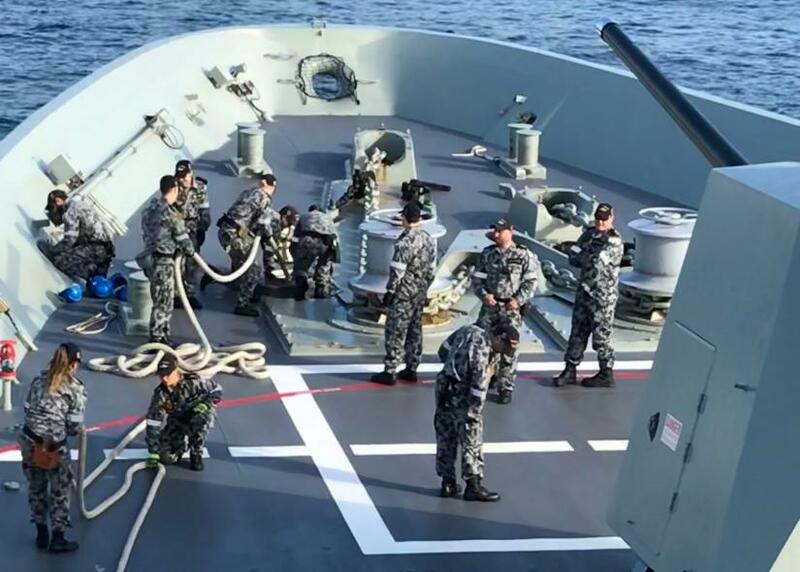 Fast forward a couple of months and Professor Douglas Tomkin, a lecturer in public sector innovation and a project manager at the UTS Designing Out Crime Research Centre, found himself on board HMAS Hobart as the crew conducted training exercises around the coast of Australia. Professor Douglas Tomkin joined the students on board the HMAS Hobart for a week. 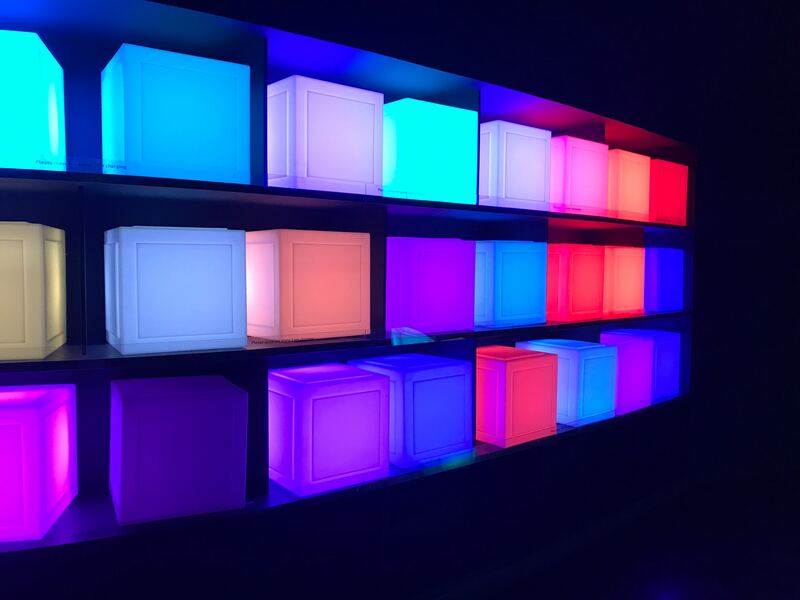 Photo: Douglas Tomkin. Over the course of a week, Tomkin worked with Wellfare and Jess Buley, a communications specialist on the HMAS Hobart who is also studying the Graduate Certificate, helping them catch up on everything they’d missed. “He gave us a bit of an insight into some of the elements that were discussed around the intensive that we missed. We were also able to look at some of the core concepts and the major steps in the approach to design that the course is teaching,” Wellfare says. 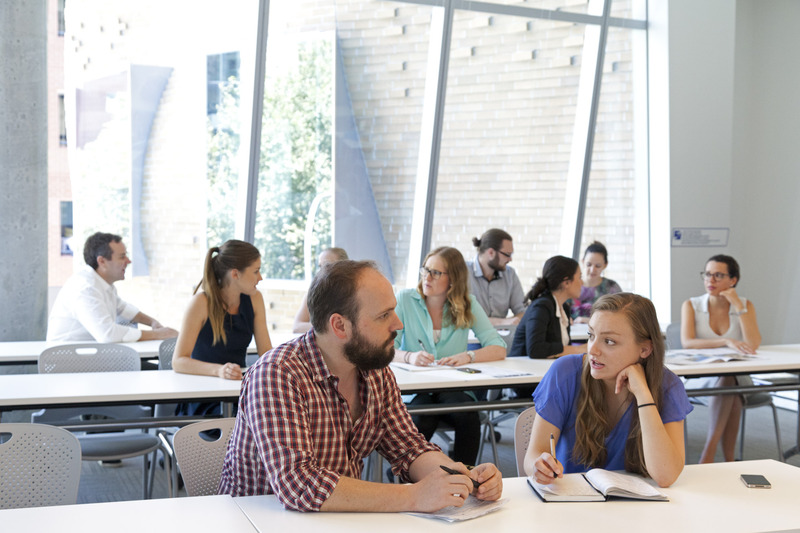 In many ways, such an outside-the-square solution reflects the very nature of the graduate certificate course, which uses a design methodology called The Frame to help students identify, interrogate and reframe complex professional challenges. The course was originally developed for government employees facing complex challenges at work. 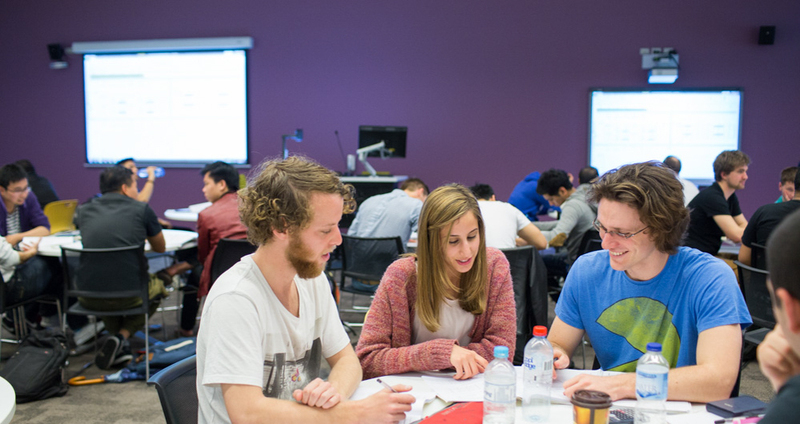 A partnership between UTS and the Australian Defence Force resulted in an online version of the course being developed for defence employees, many of whom spend extended periods of time away from home. There are currently 32 defence personnel enrolled in the degree. 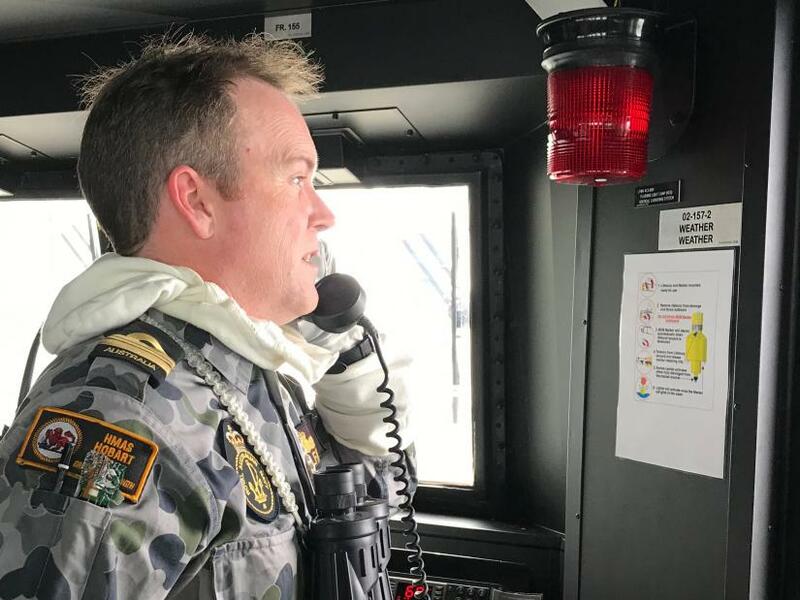 On board HMAS Hobart, Wellfare and Buley had the chance to show Tomkin the realities of their working life and how it related to their graduate certificate studies. Wellfare’s major project looks at how to manage the fatigue caused by the long hours, limited personnel and isolation of life at sea. “I’m looking at more innovative fatigue management for people working in sea-going ships. When you look at accident and incident reports, fatigue is one of, if not the, significant causal factor in terms of errors of judgement and decision making,” Wellfare says. “The crux of my motivation for enrolling in this course is hoping that I can learn a different methodology or strategy to approach the problem, and potentially even come up with a range of viable solutions.” For Tomkin, the experience gave him an insight into the challenges that university students experience in trying to juggle the responsibilities of study, work and life. On board HMAS Hobart, Wellfare and Buley had the chance to show Tomkin the realities of their working life and how it related to their graduate certificate studies. Photo: Douglas Tomkin. This story was written by Claire Thompson and originally posted on the UTS DAB website. It is reposted here with permission. Feature image by Matt Howard.